You have to develop a Microsoft Access Database that runs resources (Doctor, customers, equipments ...) and manage a schedule... ? Here’s the tool for you ! A Microsoft Access Scheduler Database Template designed to save you time and help you learn. 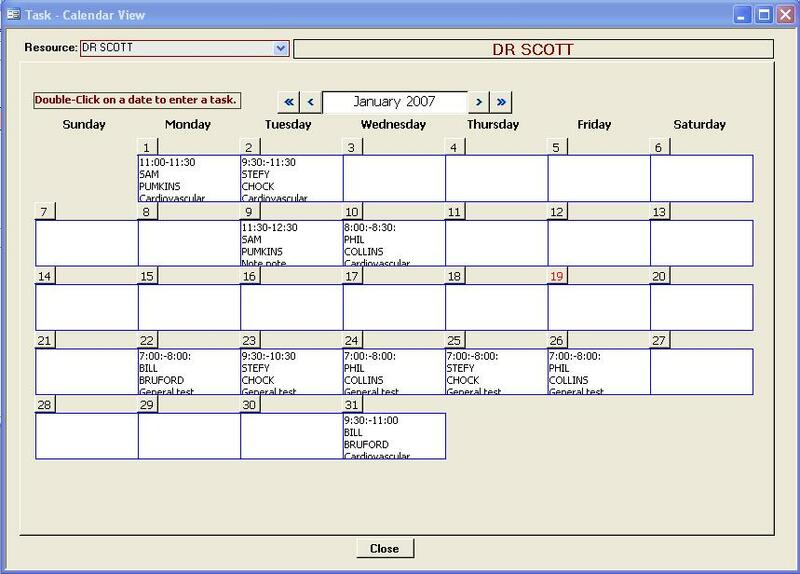 A Microsoft Access Scheduler database that you can use as a template.